Since publishing our article on some of the biggest online winners who have until now managed to remain anonymous we have had quite a few emails regarding players who have, up until now, remained anonymous, at least on HighstakesDB. One of the more interesting names which came up was that of UK entreprenuer Paul Newey, who plays under the handle "topdoll287". 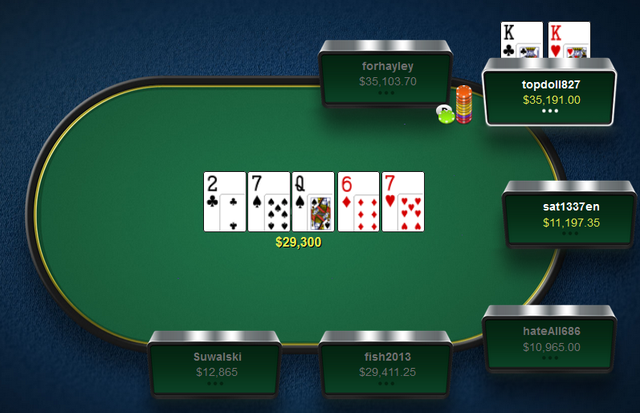 Newey isn't a huge online player, having only put in 5,643 high stakes hands in the 4.5 years the topdoll287 account has been registered, and it's more likely that his profile hasn't been noticed for that reason rather than any deliberate attempt on Newey's part to remain anonymous. 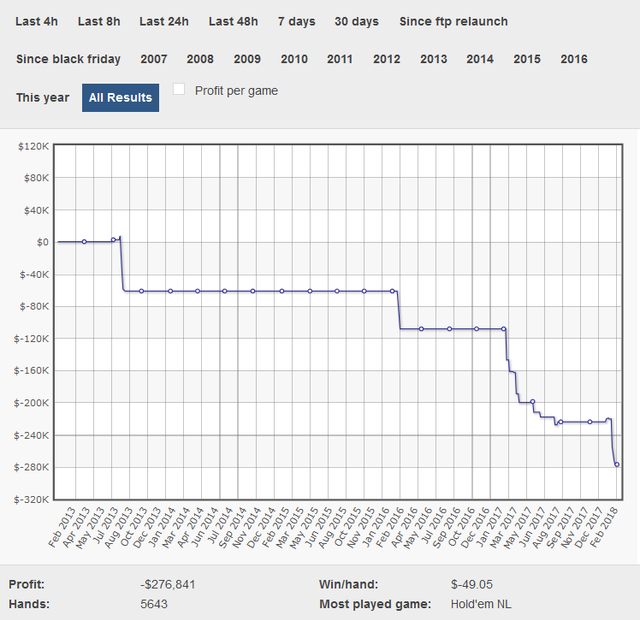 As you might expect from a player who, at best could perhaps be described as 'semi professional' his results playing high stakes NL online have not been a great success with losses of $276,841 representing a loss of close to $50 for every hand played at $25/$50 and $50/$100. These kind of losses are merely a drop in the ocean for a man allegedly worth £240 million ($335m) however, and Newey might even view these losses as the price of practice in preparation for some of the many high roller and super high roller live tournaments he plays in. Although Newey doesn't have a live tourney victory on his resume as yet, he has still amassed over $4.8m in live tourney wins, his biggest being $1,418,667 for finishing 7th in 2014's WSOP $1m buy-in Big One for One Drop. Newey's biggest profit from a single tournament came later on that year when he collected $684,436 from finishing second in the €50k ($60k) Super High Roller at EPT Prague in December 2014. Newey made his money from the loan company he founded in 1991 when he was just 21 years old, Ocean Finance. Most people would consider losing their job bad luck but it worked out well for Newey who started Ocean Finance with a business parnter with just £2,500 capital. Newey oversaw huge growth at the company before eventually selling it in 2007 to US giant AIG for £200m. Whether it was luck or judgement for Newey to sell when he did it was certainly the correct decision as the world's financial markets went into freefall soon after in the wake of the global credit crunch - of which AIG were one of the worst hit organistions. These days Newey spends a lot less hours looking after his business interests although he still finds time to oversee his multi-million pound venture capital business, New Wave Ventures. You're more likely to see him travelling the world playing poker. He last tourney cash came just a couple of weeks ago at the partypoker MILLIONS Germany in Rozvadov where he finished 12th in the €10k High Roller for a €30k score. Newey has been seen as recently last Saturday (24th February) playing as topdoll287 on PokerStars where he lost just under $5k from a 41 hand session of NLHE. This wasn't the first time a big Newey casino win made the news. Back in 2005 he won £3m from Birmingham's Star City casino, causing the share price of casino owner's Stanley Leisure to drop by 12%. It was reported later in the month, however, that Newey had already lost his multi-million pound winnings at the roulette tables where he was rumoured to be gambling up to £300,000 a spin!! We also heard a rumour that Newey had bankrolled one of our 'Mystery Mult-Millionaires' in previous years, namely PLO pro JayP-AA. While JayP-AA and Newey both hail from Birmingham and it's likely they do know each from the live poker scene, we have no proof that they were ever engaged in any kind of backing/staking arrangement so that one has to remain just a rumour!